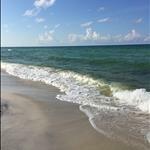 - 5 minute walk to the white sand beach & emerald blue water of the Gulf of Mexico! DETAILS: "Dot's Beach Retreat" is a lovely updated Penthouse Condo located in the heart of Rosemary Beach overlooking Barrett Square just north of 30A and is within steps of many shops and dining options. Guests are greeted to 20 foot ceilings and an open, dramatic living space. With 2 bedrooms and 2 bathrooms, 34 N Barrett Square Unit 3A is perfect for small families. Sit back and relax on the large private balcony that overlooks the green. Explore Rosemary and its neighboring communities or splash into the beautiful emerald Gulf of Mexico just a 5 minute walk away. Check availability and book with 360 Blue today! Our family had a great spring break at Dot's Beach Retreat. 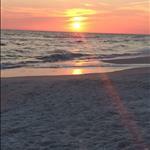 This was our third year at Rosemary Beach and we thoroughly enjoyed the location and accommodations. Our girls really liked being 'downtown' Rosemary above the shops, etc. 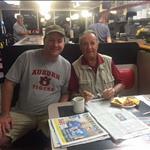 Dot's was very clean and well appointed for our group of 6. Would recommend, and will be back! The location was great. Happy to have the bikes available to us! The unit was clean, but not well maintained. We’ve stayed in multiple Rosemary Beach properties over the last 6 years and this was not up to par with our expectations. The floors are worn and the furniture is falling apart. Didn’t bother us though since we were at the beach and pool most of the days. Thank you for sharing your home with us. We had a great time. The location was wonderful and it fit our family perfectly. 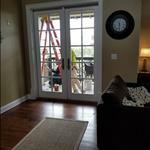 We did contact 360 twice regarding work being done on the outside of the condo. We talked to someone there twice and they were suppose to get back to us but never did. The porch was either taped off with paper or had wet paint so we weren't able to go out there the entire time. We also felt like we had very little privacy since there weren't any blinds and there were normally 2-3 people working. I will attach a picture. Other than that it was great. We are very pleased that Dot's Beach Retreat fit your family so well and you loved the location. We apologize for the construction during your stay. Construction was supposed to be completed in mid-February and we blocked out reservations thru the end of the month. Wet weather resulted in several lost work days in both January & February. The glass in the new french doors is larger than the old doors so the plantation shutters could not be reused. New shutters were ordered in February but have a seven-week lead time. Once again, we apologize for the inconvenience and are glad you still managed to have a great time in Rosemary Beach. Thank you for staying with 360 Blue, we hope to see you again soon! We loved our stay at Dot's Beach Retreat! It was perfect for the four of us. The location was very convenient, and having the chairs,umbrella and bikes to use made it even better. We will definitely be checking the availability of this unit next time we go to Rosemary. We are so delighted that you enjoyed your stay with us in Rosemary Beach! We agree that the location of this condo is second to none and the accommodations and amenities of Rosemary make for a stress-free, fun beach getaway! The photo you shared is priceless! We look forward to hosting you all again very soon! My daughter and I had such a great time in this property, in Rosemary Beach. We love that area, and all of the great shops and restaurants in the immediate area. It also made it easy for me to get to the Half Marathon starting line, in Seaside, on Sunday morning. Rosemary Beach is such a special place and we are thrilled that you loved your stay. This beautiful home is the perfect spot for a relaxing beach getaway. We hope to see you back soon! Thank you so much for your valuable feedback. We are always working to improve and provide our guests the best experience possible. We have passed this information along to the homeowners so that the issues can be addressed as necessary. Unfortunately, the construction is unavoidable. Luckily, the outside work should be done in the next two months and then it will be indoor work that should not be disruptive. We hope to see you back at the beach soon! We are so pleased to hear you enjoyed your stay with us! Thank you so much for choosing 360 Blue for your family's beach escape. Be sure to come visit us again soon! We had a wonderful stay!!!! Awesome location so easy to get to the beach and shops and dining! We will definitely love to stay here again! Thank you so much! Great renting experience! What a great photo! You really captured the amazing views of watching storms roll in on our beautiful beaches. We are delighted to hear you enjoyed your stay with us so thoroughly! Thank you so much for choosing 360 Blue and taking a moment to share your experience with us. We hope you'll be back to see us again soon! This was an amazing place to stay. The location was close to everything and will definitely be back next summer. We are happy to hear that you enjoyed your stay with us in Rosemary Beach and could take advantage of the close proximity to everything! Thank you so much for choosing 360 Blue for your beach escape. Be sure to come see us again soon! Our family had a great week at Dot's Beach Retreat. We stayed last year above the Sugar Shak. Our balcony setting overlooking Barrett square was much more enjoyable. The 360 App was very helpful. Our check out process was easy. The construction noise could be loud at times but was overlooked by our wonderful view of downtown Rosemary. The cool Gulf breeze was relaxing on the balcony. Reserved parking and the access to additional storage came in handy. Also the carts in the lobby made checking in/out quick. Small downside I cut my food on nail in master bedroom floor. We will keep the condo high on our list for next summers beach trip. We are so happy to hear you enjoyed your stay with us at Dot's Beach Retreat so much! The views from the balcony really are spectacular! Thank you so much for choosing 360 Blue for your family's beach vacation. We look forward to helping you plan your next stay with us! We are so happy you and your family had such a wonderful spring vacation in Rosemary! Thank you for staying with 360 Blue and we hope to have you back at the beach again soon! Dot's Beach Retreat was perfect for our first trip to Rosemary Beach. The loft was clean, well stocked with kitchenware and beautifully decorated. We enjoyed taking in the charming beach town atmosphere from the balcony overlooking the square, eating outdoors on main street, riding bikes and of course the beautiful beach. We loved walking the beach and watching the sunset each evening. We will definitely make Rosemary Beach our new destination vacation! Such a beautiful photo! It sounds like you were really able to enjoy everything that this beautiful home has to offer. We look forward to having you back soon! This is our annual trip with our best friends and we are never disappointed when we come down! Dot's retreat was very nice and a great location. I would say some of the kitchen tools needs some updating if you are planning to stay in and cook some meals. Frying pan and microwave maybe on their last leg. Master shower has a body jet that did not work and would have been great to use with all the sandy days. Master shower head didn't stay at the adjustable height and was lose. This by no means made the trip worse, just some things to change for the next renters. We can't wait to come back next year and enjoy Rosemary again. Thank you so much for the valuable feedback! We have replaced the frying pan and the microwave and the master shower has been repaired. We are so happy that you had such a wonderful stay! We hope to see you back at the beach soon! What a wonderful condo! It was in the perfect location on the square and we were able to walk to everything. The condo had everything we needed and was beautifully decorated. Our family of 5 was extremely comfortable and we would gladly choose this condo again. We are so happy to hear that you had such a wonderful stay with us! 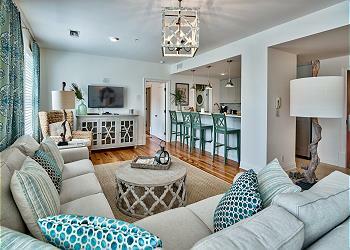 This condo really does have everything a family could need for an amazing beach getaway. We hope to have you back soon! Thank you for choosing 360 Blue for your beach getaway! We are thrilled that you enjoyed it. We hope to have you back soon! Fantastic location - nice view of the square. Lots of good food in the area. We will be back. Thank you for choosing 360 Blue for your beach vacation! We are so thrilled that you enjoyed your stay and we hope to have you back soon! We had a great time at Rosemary Beach, the condo is clean, well equipped and very convenient to shops, dining and the beach. We enjoy our daily coffee in the valconny. We will definitely be back! 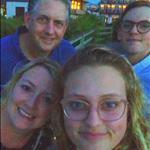 Hi Corey Family: We are so glad to hear that you enjoyed your vacation. Thank you for choosing 360 Blue and we hope to see you on your next trip to Rosemary Beach! We had a wonderful stay over the 4th of July weekend at this very convenient condo in the middle of Rosemary Beach! It is nicely appointed and we loved sitting on the balcony for breakfast or for enjoying a glass of wine in the evening. It was great to have such quick access to the Rosemary Beach shops and restaurants, and it was so nice to have the 2 bikes included with the condo as well as the beach chairs and cooler. This was a perfect spot for 4 adults and a toddler. We did have one issue during our stay but the staff with 360 Blue did an excellent job of remedying it. Thank you for sharing your experience with us, Pounders Family! We are glad to hear the condo and accommodations were just what you were looking for! We hope you will come back and see us again soon.